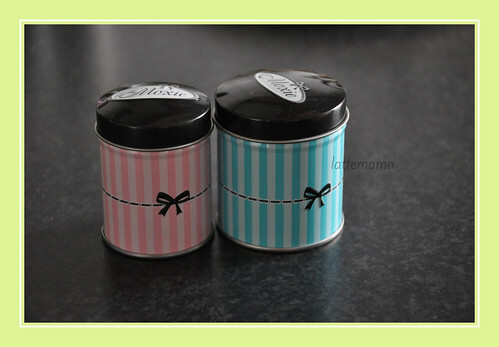 These have to be the cutest little tins I have even seen. Can you guess what's in them? They are "feminine hygiene products" ... as in tampons and I have to admit I only bought them for the tins. They came in pairs and cost three times more than my regular brand but I just couldn't help myself. Besides I can always fill them with generic brand products once they're empty.